I loved that the history about where the two groups came from was explained and also, 3. Frostblood by Purchase on: , , Add to: Synopsis: The Frost King will burn. What does she do when tempted by possession? Anyways, Frostbloods show extreme prejudice towards Firebloods, to the point that they seem pretty much extinct. He carried himself like a warrior and spoke like a nobleman. As I said, a brutal book! 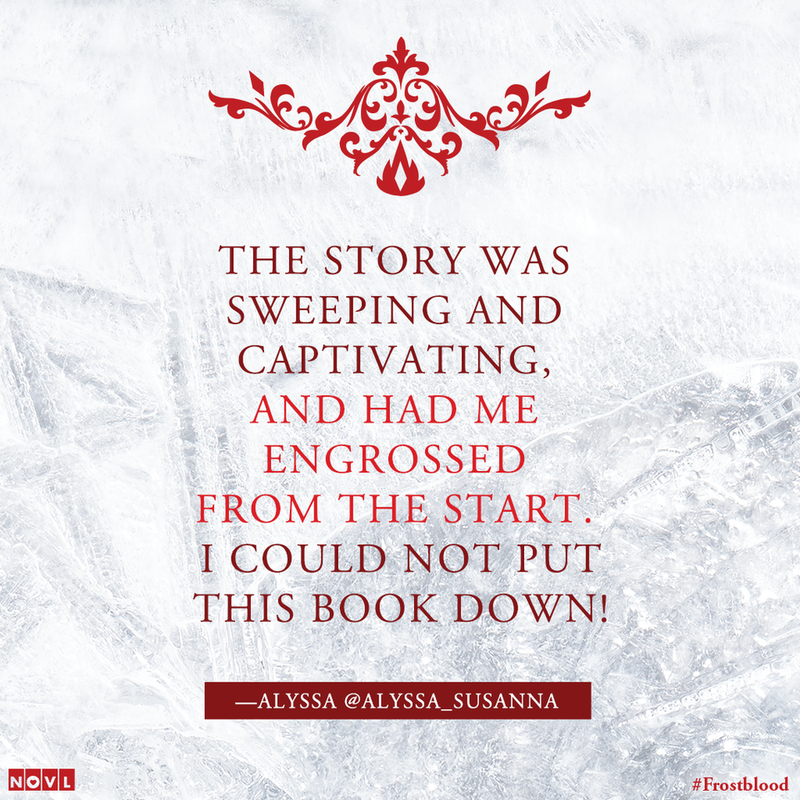 Vivid and compelling, Frostblood is the first in an exhilarating series about a world where flame and ice are mortal enemies. He takes the most powerful Fireblood prisoners and matches them against his Frostblood champions. 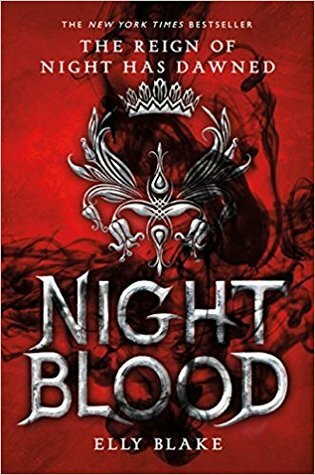 Seventeen-year-old Ruby is a Fireblood who has concealed her powers of heat and flame from the cruel Frostblood ruling class her entire life. After traveling for sometime they arrive at the forwind abbey where Ruby is healed by Brother Gamut at the infirmary. After escaping prison, she finds herself at the mercy of some Frostblood monks, who are trying to teach her the full potential of her power. I don't know how good this review will be, because I just loved the book so much. There's always a lost princess or queen, a lost rightful ruler that was seen to be dead or killed, and it was the same with Arcus, but he was the lost king. Welp, I read through this quickly. Giveaway: Where Flame And Ice Are Mortal Enemies: Pick a side! Now it appeared I was alone. The world building in this book is beautiful. I hope there will be more romantic clashes in future books, because this book certainly did not have enough! I'm just going to move on. The constant struggle of choosing who to trust and the struggles of controlling her power guide the storyline, and the book was so thrilling. There isn't really much romance until around 100 pages, which I was completely fine with because that is completely normal in pretty much all books that have romance in it. Ruby will only have one chance to destroy the maniacal ruler who took everything from her. It may only be a pinpoint, but it is there. Honestly, I was mesmerised from the first page, until the last. You know those books where the hero or heroine cry so hard because they are seeing a loved one die, just fall away, and as they are crying out tears, they get strength from it? And then I heard someone bellowing nonsense, and I knew it must be you. The characters were bearable and their development and character arc were quite alright. Scorch marks still stained the floor. Power is an intoxicating temptation here, shown to corrupt and harden hearts against suffering. And she becomes selfless and noble, as the book goes on. He is also something else that I can't tell you about, you have to read the book. Arcus and Ruby fight and are reprimanded when Brother Thistle walks in. It's got similar plot twists, similar heroine's and hero's, the typical romance, the action that is set somewhere, the similar settings - it's all similar - but it's also something I don't get tired of. She remembers how she cares for him and unleashes her power on the throne. I read most of it within a day. After reading this book, I have found my new favourite author. Strong, young female protagonist, who got dealt a bad hand in their early life, is now fighting for their rightful place on the throne. With that said, I will read the sequel, because I've heard it's a step up from the first- and because I genuienly like her characters and world. Arcus, the frostblood who helps break out Ruby and train her at the monastery, seems cold and impervious, just like you'd expect from an ice wielder. Soldiers set fire to a village; people nearly die from smoke inhalation. What more could Ruby possibly want?? Here's a fantasy romance that may feel formulaic at first but piles on plenty of intriguing surprises in the last act. But this book's problem is not just a series of components that make it derivative - it also has a very lackluster style. Unless it becomes an unnecessary love triangle: nobody wins with those. Their romance subplot felt strained and compulsory rather than natural and genuine. The world-building was well-written, and I liked how much history of the kingdom that the author included. He is also something else that I can't tell you about, you have to read the book. Whom does she see in the crowd? My favourite male character after Paxton from Great Hunt. Another reason you interest us. Also, Ruby was uninteresting and bland. In the presence of the Frost King, she must stay alive while she figures out how the bring him down. That was a long time ago. I can't believe that I have to wait until September for the next one. I liked the romance, the first stage of the romance, to be exact. Small strides are made toward reconciliation. Hiding her powers for years, she unwittingly draws the soldiers to her village, and h I received an Advance Reader Copy from the publisher. I let out a long breath.